Considerate, holistic, functional training in the heart of the Willamette Valley. 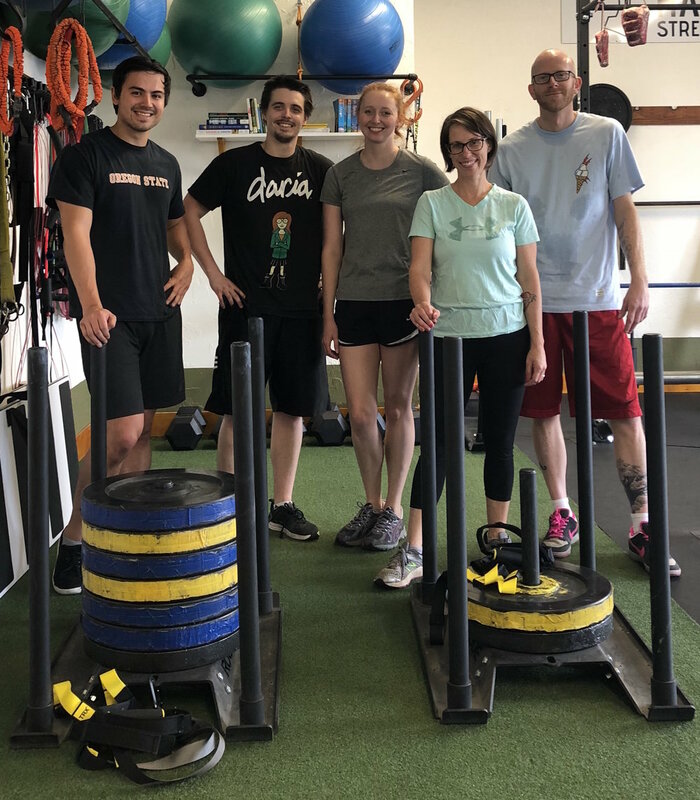 Hammerheart Strength & Conditioning is a gym in Corvallis, Oregon that specializes in small- group training (all classes are limited to 6 participants) and personal training. I place a strong emphasis on educating my clientele how to properly train themselves, with a focus on improving their total body strength, mobility, flexibility, and endurance. More specifically, "Hammerheart" is a heavy metal album by the Swedish artist Bathory. Its perhaps one of my favorite albums of all time and to this day continues to impart its energy, wisdom, and courage upon me. In 2011 I began an internship with the athletic performance department at Oregon State University. I worked daily with the schools Division 1 football program, eventually assisting with other teams including women’s basketball, men’s and women’s soccer, and women’s swimming. After three years as an intern, I began searching for the next step in my athletic performance career. I met with other colleges, professional teams, and notable private facilities. While some of these paths seemed appealing, particularly the professional level careers, they all had two things in common: I had to leave Oregon, and they wanted all of my time. I knew I had come to a crossroads. After much deliberation, and a little bit of time working as a barista, I decided to create Hammerheart. Today, I operate Hammerheart mostly full time, while spending the rest of the time raising my wonderful daughter. I have a bachelor of arts in history from American University, where I wrote my thesis on Captain America. I also developed an incredible fondness for Japan while studying there (and a little in Japan) and that influence can be seen in the gym. I’m married to a beautiful, intelligent, and compassionate woman that I first met when I was 10 years old. We have one human child, Sophie, and one dog child, Big Lou. Created by internationally renown strength coach Michael Boyle, the CFSC was designed to improve the quality of certifications being given to coaches. Attendees must first pass a written exam before attending a day long practical exam. 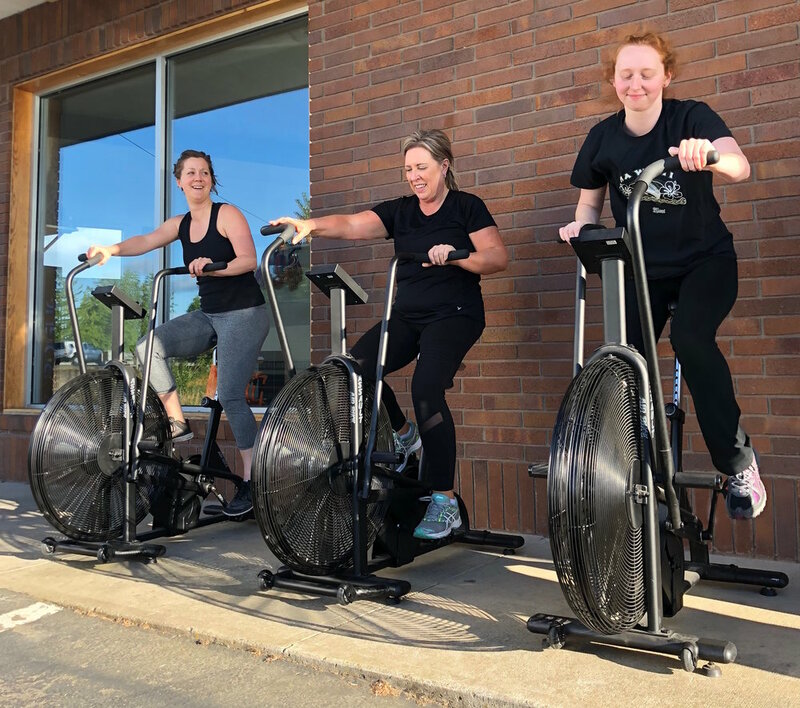 A CFSC is an incredibly diverse, adaptable, and intelligent coach, capable of progressing or regressing clients through a variety of movements to help them best meet their goals. Paul Chek is an internationally-renowned expert in the fields of corrective and high-performance exercise kinesiology. His unique, holistic approach to helping clients is the foundation of my approach. This certification is Level 1 of 3 that the C.H.E.K. Institute provides. It covers the foundation of their teachings, including nutrition, anatomy and physiology, training and stress management strategies. FMS is a screening tool used to identify limitations or asymmetries in seven fundamental movement patterns that are key to functional movement quality in individuals with no current pain complaint or known musculoskeletal injury. I preform this with all clients, prior to training, free of charge.